Updates to the PCIe/104 specification provide a path to the future while maintaining compatibility with the past. 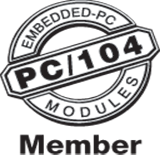 The PCI/104-Express specification establishes a standard method for using the high-speed PCI Express bus in embedded applications. When the Consortium started considering the next generation for PC/104, PCI Express was the logical solution.